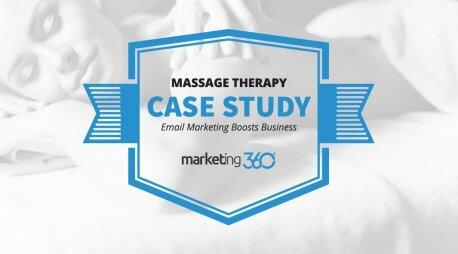 Grow your business with text message marketing & the power of automation. 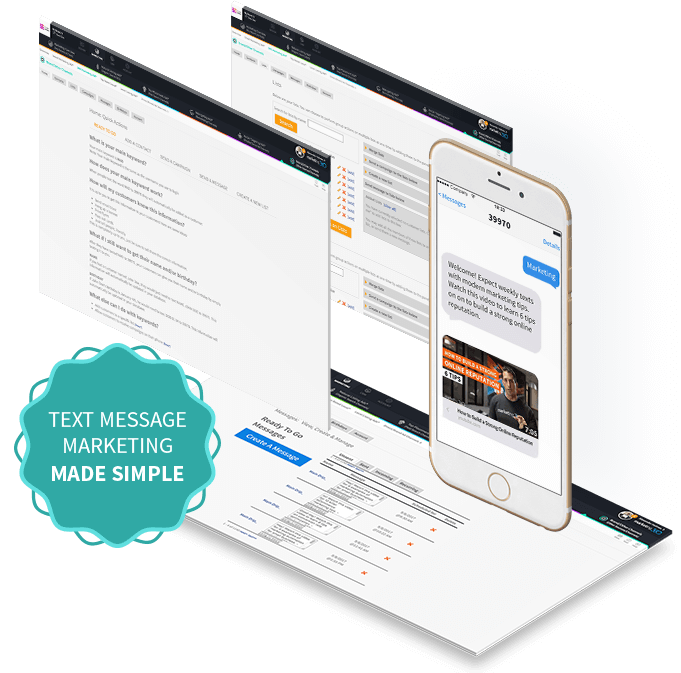 Create, send and automate text message campaigns in minutes. Do it yourself or have us do it for you! Increase sales with perfectly timed text messages and automated campaigns. Text message (SMS) marketing is one of the most effective ways to send time-sensitive offers & promotions to generate additional sales! We’ll help you setup text message marketing automation to nurture your leads & customers with targeted content & offers without lifting a finger. Text message marketing is a great way to build customer loyalty by sending VIP offers, content and more with incredible speed & ease. 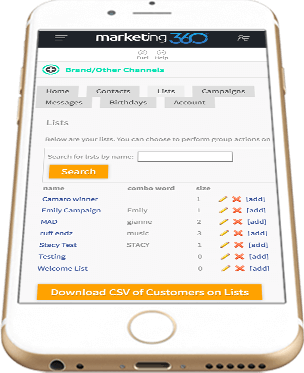 Users simply text the branded keyword of your choice to opt-in and join your SMS campaign and lists. Once users opt you can send them text messages whenever you’d like or add them to automated text message campaigns & journeys. 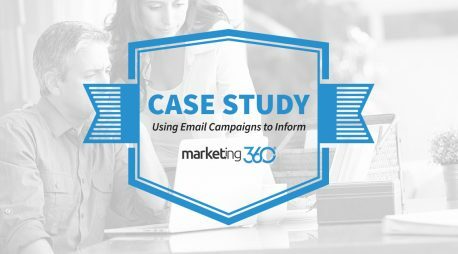 Create automated text message campaigns and journeys in minutes! Send all of your subscribers a coupon on the major holidays, weekly tips & tricks, periodic reminders and more! Automation is a great way to drive additional sales & loyalty without lifting a finger. Make text messages feel more personal by dynamically adding your contact’s first name to the content. Personalization has proven to increase engagement which results in generating better results and driving more sales. 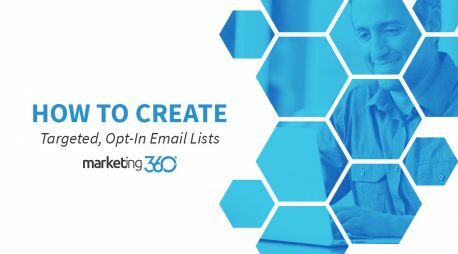 Build loyalty and generate more sales & referrals by sending automated messages to your contacts on their birthday and the holiday’s of your choice. 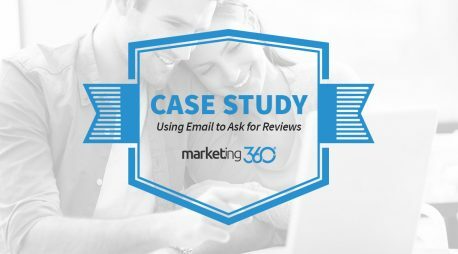 This is a great way to enhance your customer experience without lifting a finger. 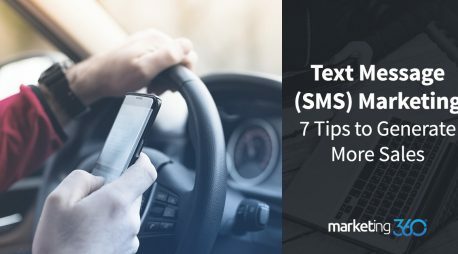 A simple weekly or monthly "text tip" keeps you in front of your prospects while providing value and opening the door to other types of text messages. VIP offers & flash sales are a great way to make your loyal customers feel special and clear excess inventory or fill the seats on slow days! Periodic reminder messages are a great way to increase sales for any business that offers products or services on a monthly, quarterly and annual basis. Build loyalty and generate more sales & referrals by sending automated messages to your contacts on their birthday and the holiday’s of your choice. Because nearly everyone has their phones with them at all times and sees their text messages in virtually real-time, text message marketing is perfect for last minute alerts & promos! Sending out an important email? 98% of people open their text messages within 15 mintues.So sending out a text message teaser about your email will increase your open rates! Start with a kickoff call with your Marketing Executive and/or Text Message Marketing Specialist to ensure you get started on the right foot. Get free unlimited training and dedicated support. Call, email or text your Marketing Executive or Text Message Marketing Specialist whenever you’d like. 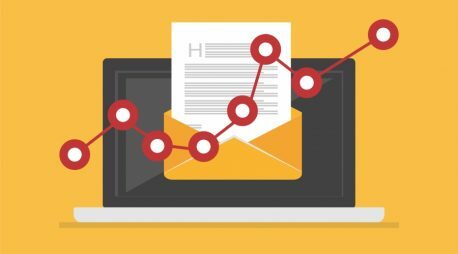 Track the results and make changes as you go so the results you get from your text message marketing campaigns continually improves over time.